"Great accommodations. Monogram reps were spot on with recommendations." "My trip was really cool! 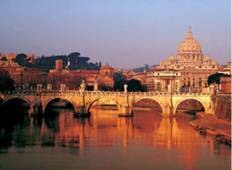 I liked the hotels, especially the one in Rome and breakfast..."
"Really well looked after, great tour guide with lots of knowledge, good optional..."
"The beauty of the cycle path all along the way and the ease to follow it."